If you’re looking for an exciting vacation that will leave you feeling energized instead of exhausted, Vegas is the perfect destination. You’ve heard about the hotels and the shows, but Vegas has so much more to offer once you get off the Strip. Here are the top out-of-the-box activities to try the next time you’re in Vegas. The Grand Canyon is a must for every adventure-seeker. It’s possible to make it a day trip if you just want to drive the four hours there, take a look, and then drive back. But if you want to explore even more, book a hotel or campsite overnight so you can take some time to hike one of the many miles of trails both on the rim and inside the canyon. You can also take a rafting trip down the Colorado River to get an entirely different perspective and see the canyon from the bottom up. You won’t find any paintings or sculptures inside this museum located in downtown Vegas. Instead, the Mob Museum gives you a look at the history of organized crime and its role in the local culture. Learn about mob bosses like Al Capone, the FBI’s efforts to bring down the mob, and how the mob helped build Las Vegas. 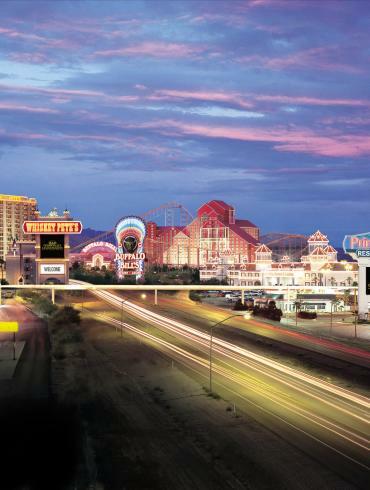 Approximately 30 miles outside of Vegas is one of the greatest manmade structures in the world. The Hoover Dam was built during the middle of the Great Depression and harnesses its power from the Colorado River. Tours happen every day and allow you to observe the inner workings of the power plant. Walk up to the top of the dam for amazing views of the surrounding area. One of Vegas’ hidden gems, the Neon Museum houses historic signs from some of the city’s most well-known attractions, including the Flamingo and Moulin Rouge. Book a tour and your guide will delight you with information about the inspiration and creation of many of the museum’s most famous signs. Lake Mead is a reservoir formed by the Hoover Dam, located just east of Vegas. It offers many recreational activities, including swimming, fishing and a beach area. However, one of the best ways to experience Lake Mead is on a kayak. Try a clear, fiberglass kayak to fully enjoy the beauty of Lake Mead’s renowned crystal-clear waters. There’s no need to go far if you’re looking for a thrill. Try the Slotzilla Zip Line at Fremont Street Experience. Start at 77 feet high and soar for two blocks at speeds of up to 35 mph before coming in for a landing under the Fremont Street canopy. If you want to take it up a notch, try the zoom line, which starts at 114 feet high and spans five city blocks. 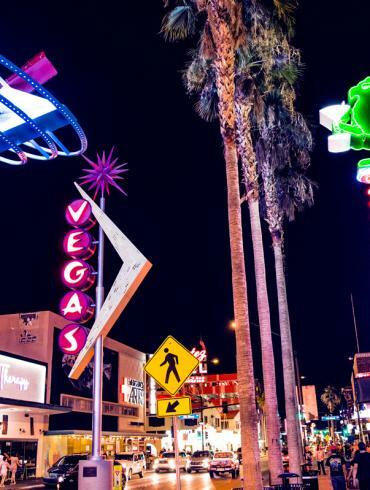 When you’re ready to venture off the Strip, you’ll find that the possibilities in Vegas are endless.